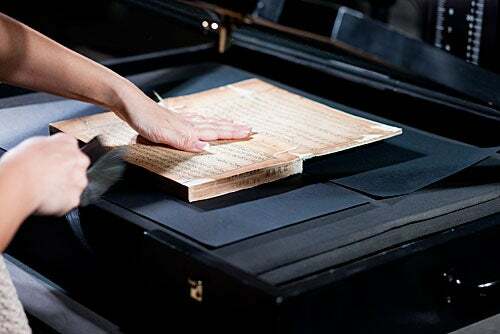 Imaging technician Lily Brooks breathes new life into a Theodore Roosevelt manuscript inside Widener Library's digital lab. 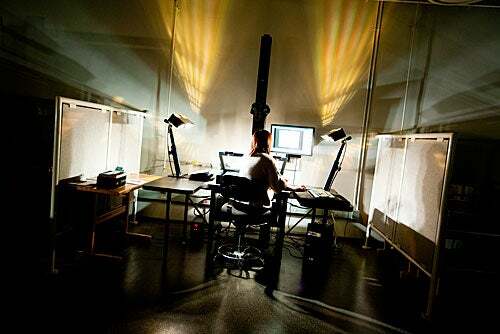 This modern room, equipped with the latest technology, is where camera operator Edith Young scans rare books for the world to see. Mary Kocol also photographs rare maps lit by a powerful lamp. 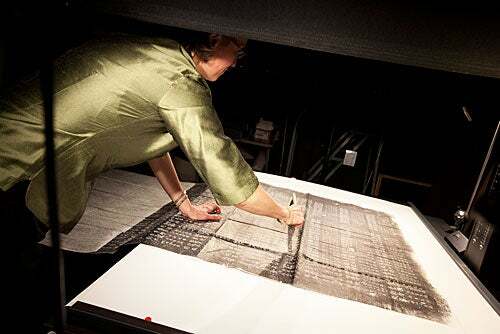 Mary Kocol, imaging technician, photographs Chinese rubbings. 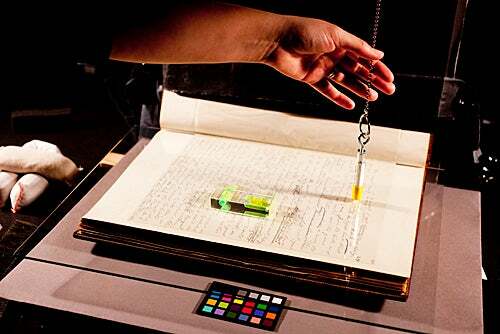 Lily Brooks, an imaging technician, photographs a Theodore Roosevelt manuscript. 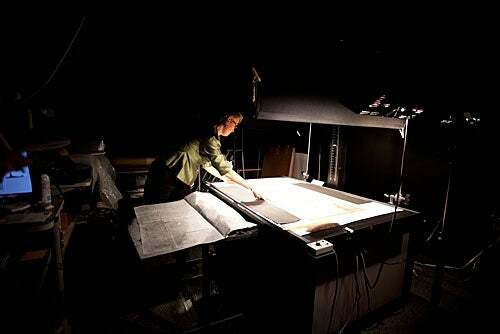 Camera operator Edith Young, of imaging services, scans a rare Chinese book from 1600 in the digital lab of Widener Library. 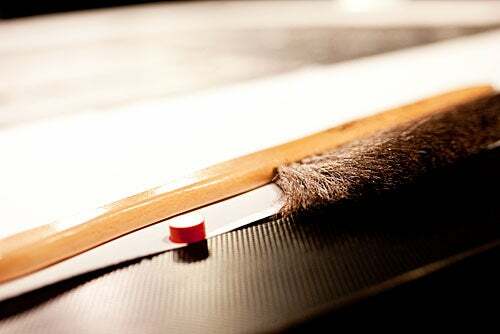 A brush and a magnet are tools of the trade in the digital lab of Widener Library, where manuscripts and collections from the libraries and archives are scanned. 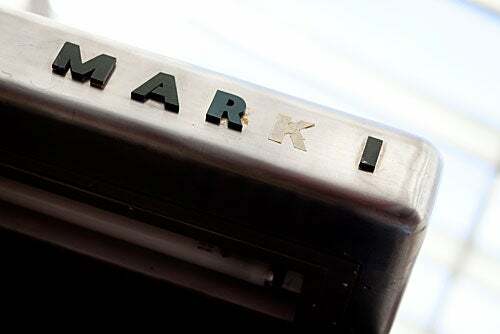 The Mark I, considered the first mainframe computer, was the brainchild of Harvard Ph.D. physics candidate Howard H. Aiken, who envisioned a newer, faster, more powerful calculating machine. 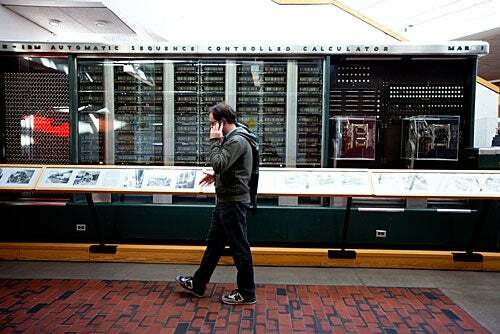 A student walks by Mark 1, an early computer, while talking on his cell phone. At the last CS 175 class of the semester, students present their final projects for which they used graphics applications. 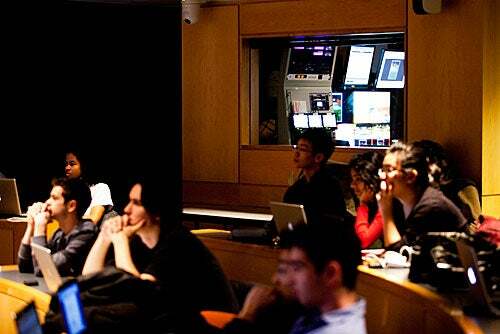 Course administrators also shoot live video from the Maxwell Dworkin classroom for their remote students.